Learn a language in 48 hours? Memrise, my favorite spaced repetition site, challenges us to learn a new language in 48 hours. Well, not any language, but the constructed language Toki Pona. Toki Pona is based on Taoist principles and has only 120 root words. Here is the official Toki Pona site. And you can buy the Toki Pona book here. Zach Simon at The Huffington Post blogs about cellphone apps for language learning. The article is geared for iphone users, for those of us who use Android phones there are also many good language learning programs, I recommend Anki and Memrise, both of which you can sync between your mobile device and your work station. Beyond that, just do a search for your target language and you’ll be surprised by the wealth of language learning materials available. Readers of this blog know that I am enthusiastic about spaced repetition software, such as Anki and Memrise, as a memory improvement technique. Anki Intelligent Flash Cards let you learn and remember easily! I am going to make a bold prediction: spaced repetition software will revolutionize education. Merging the principles of memory first discovered by Hermann Ebbinghaus with sophisticated software now allows us to make difficult memory tasks and make them both easier and more efficient. Let’s take the example of learning a foreign language vocabulary. Vocabulary learning may be the biggest hurdle for people learning a new language. Spaced repetition software allows you to master vocabulary with small amounts of daily practice. The most persuasive argument I can make here is experiential. I invite you to try Memrise. Memrise is the brain child of memory grand master Ed Cooke. It is a well designed online spaced repetition flashcard program. 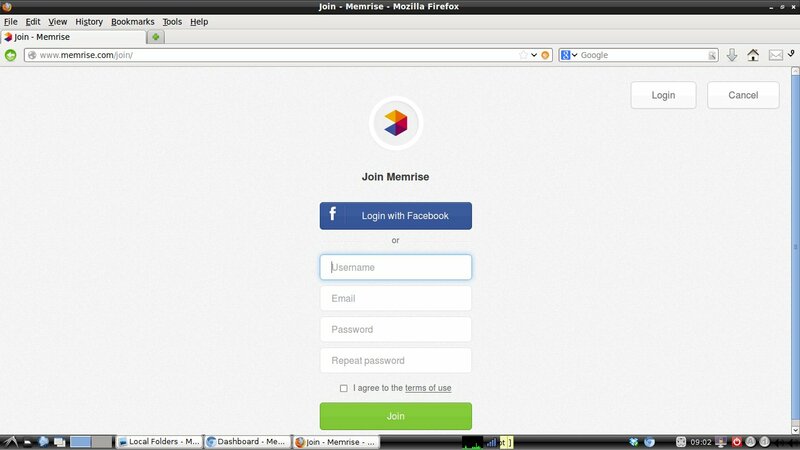 Click start and create a free account. 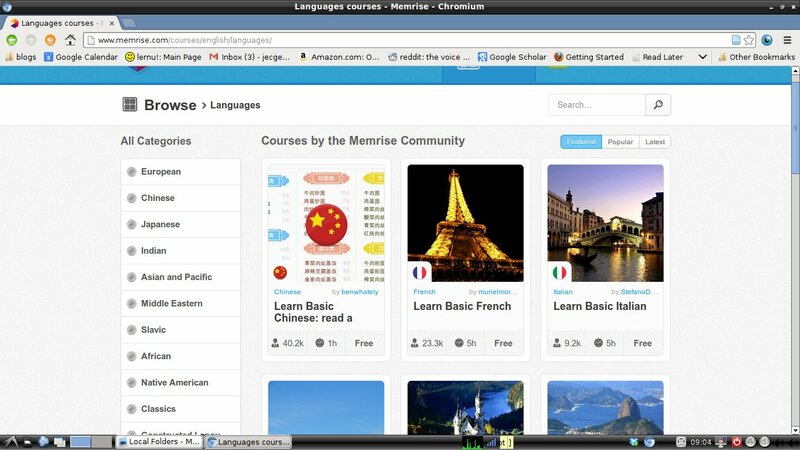 After you have created your account you can choose flash cards from an astonishingly large list of languages and other topics. 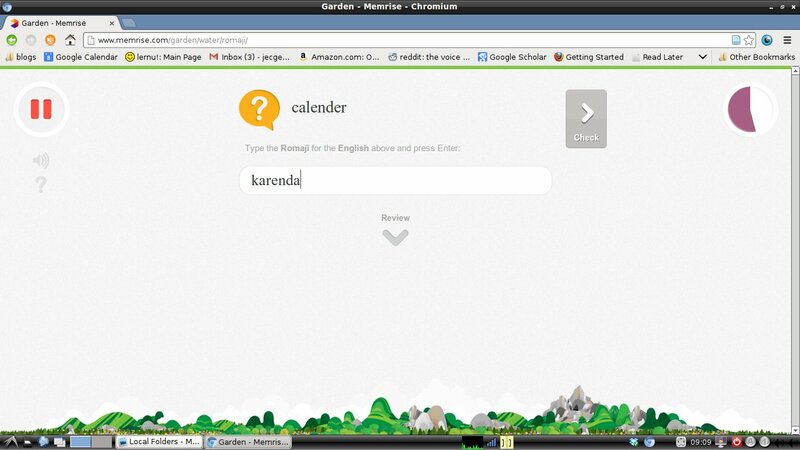 Memrise use a garden metaphor to describe learning. “Planting” means adding words to the list you want to learn, while, “watering” refers to your daily review. 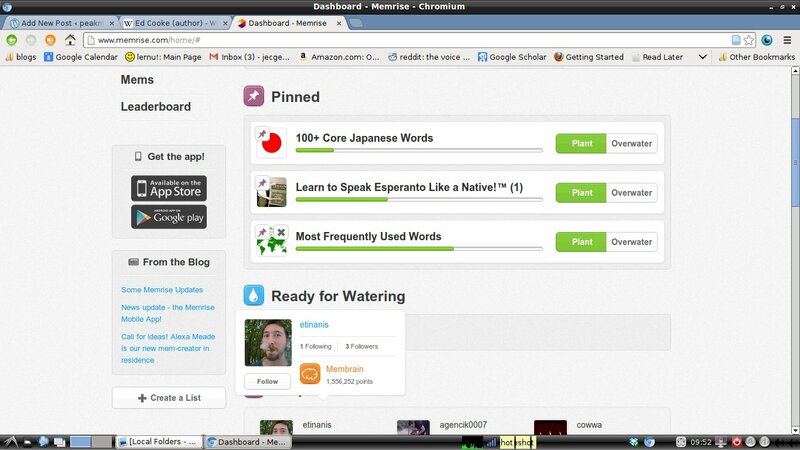 To get the most out of Memrise you should plan to water everyday (a process that usually takes just a few minutes) and to plant when you feel ready to move onto to new material. Everyday, Memrise will test you on some subset of your chosen words. It will do this either by fill in the blank questions or multiple choice. The software will evaluate how well you know each word and decide when to ask you again. If you do not know a word it will schedule to ask you again very soon. If you do know a word it increases the interval before it repeats that question. This spaced repetition procedure is known to counteract forgetting. Memrise also provides you with user generated mnemonics to help you lean words. At the end of each session it gives you a summary of your work for that day. There is a point system that serves as a motivator. 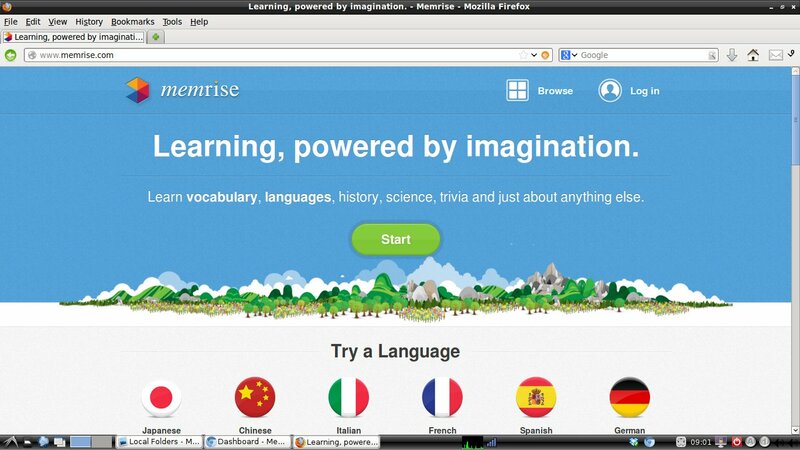 Since this is a web based service you can access Memrise from anywhere. Memrise now has smartphone apps available. Start building a better memory today!